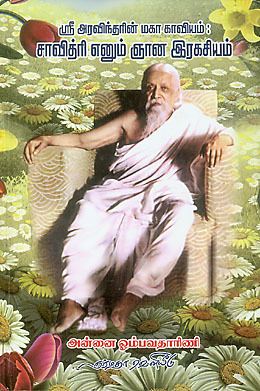 The thousands of letters written by Sri Aurobindo to his disciples were replies to questions on a wide variety of subjects: their sadhana and the practice of the Integral Yoga, Sri Aurobindo’s life and his sadhana, life in the Ashram, the situation in India and the world, poetry, literature, history, philosophy, art, science—all aspects of life. Each letter was written to a particular person in response to a particular question, and yet taken as a whole they represent a remarkable canon of spiritual insight and knowledge and provide a glimpse of Sri Aurobindo’s personality as he addresses the unique needs of each correspondent. Letters on Himself and the Ashram, the most recently published volume of The Complete Works of Sri Aurobindo, is now also available as an independent book. It contains letters in which Sri Aurobindo referred to his life and works, his sadhana or practice of yoga, and the sadhana of members of his ashram. The letters included in this volume have been selected from Sri Aurobindo’s extensive correspondence with members of the Ashram and disciples living outside the Ashram between November 1926 and November 1950. The editors have arranged the letters in five parts, and those parts have been further demarcated into sections, so that the reader has a detailed map for making his way through this wealth of correspondence. For example, in Part Two, which contains letters on Sri Aurobindo’s sadhana or practice of yoga, the second section is titled “Sadhana in Pondicherry, 1910–1950”, with additional subsections on the early years from 1910–26, the realisation of 24 November 1926, the sadhana of 1927–29, general remarks on the sadhana of the 1930s, the Supramental Yoga and other spiritual paths, and remarks on the state of the sadhana, 1931–47. You wrote to X that though people call you a philosopher you have never learnt philosophy. Well, what you have written in the Arya is so philosophical that the greatest philosopher of the world can never expect to write it. I don’t mean here the bringing down of the new Truth, but the power of expression, the art of reasoning and arguing with intellect and logic. There is very little argument in my philosophy—the elaborate metaphysical reasoning full of abstract words with which the metaphysician tries to establish his conclusions is not there. What is there is a harmonising of the different parts of a many-sided knowledge so that all unites logically together. But it is not by force of logical argument that it is done, but by a clear vision of the relations and sequences of the knowledge. “To contact” is a phrase that has established itself and it is futile to try to keep America at arm’s length any longer; “global” also has established itself and it is too useful and indeed indispensable to reject; there is no other word that can express exactly the same shade of meaning. I heard it first from Arjava [J. A. Chadwick] who described the language of Arya as expressing a global thinking and I at once caught it up as the right and only word for certain things, for instance, the thinking in masses which is a frequent characteristic of the Overmind. Part Three includes letters on his role as a spiritual leader and guide and Part Four on his ashram and the sadhana practiced there, which concludes with a short section on the Ashram and the outside world. Part Five comprises mantras and messages written by Sri Aurobindo for the benefit of his disciples. Many of the letters in this volume appeared earlier in Sri Aurobindo on Himself and on the Mother (1953) and On Himself: Compiled from Notes and Letters (1972). The volume also contains a fairly large number of letters formerly included in Letters on Yoga (1970), a few letters from Letters on the Mother, and many newly selected items from the 1926–1950 corpus of letters. Together with the documents published in Autobiographical Notes and Other Writings of Historical Interest, these letters constitute nearly all the surviving biographical and historical source materials that Sri Aurobindo wrote. Emphasising the overarching nature of this quartet, Sri Aurobindo alternately named it yoga chatushtaya or the quartet of yoga. We see that he enumerated the goals of this quartet as shuddhi, mukti, bhukti and siddhi. These terms Sri Aurobindo himself translated broadly as: purification, liberation, enjoyment and perfection, respectively. Of these, we may say that the core, the meaning of the quartet of perfection, and of what Sri Aurobindo considered the goal of his own yoga, is to be found in the two central elements: mukti and bhukti (liberation and enjoyment). The chapter continues by stressing that the primary pre-requisite for a perfect liberation and a perfect enjoyment is purification, and by drawing out the different elements of the yogic psychology which need to be purified. The elements of the nervous being, the will, the emotional being, and the various aspects of the mind are to be subjected to the purifying power of equality. The importance of equality is underlined by Sri Aurobindo by his turning this discipline into the first of the specific yogic practices, the shanti chatushtaya, the quartet of peace, or the perfection of equality. While the author's primary objective throughout the book is to understand the processes and goals of the integral transformation of being and nature in Sri Aurobindo’s Record of Yoga, he also seeks to understand its place in relation to traditional systems of yoga. In addition, he is looking for an approach that will interpret this field of yoga, a psychology of process aimed at integral transformation, in the context of the ongoing progress of contemporary psychology and philosophy. Finally, he states that part of his objective “is to gain a key, an opening, to understanding the inner life of Sri Aurobindo through the Record of Yoga, seen as a lived example, that we can learn from, and derive inspiration from, for success in experimental practice”. 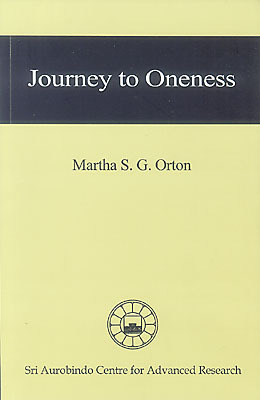 Other new books include Deliberations on The Life Divine, Volumes II and III, whose approach is to explain the main philosophical arguments presented by Sri Aurobindo, using simple language and illustrative instances, and Journey to Oneness, a work which introduces the concept of Oneness in Sri Aurobindo’s philosophy and describes how the unification of the being around the psychic leads to a growing sense of oneness with the Divine. 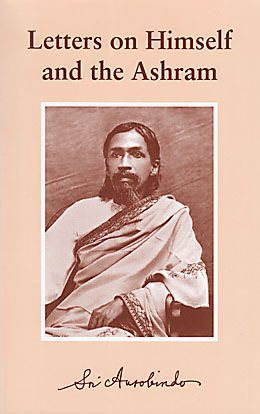 This book brings together letters written by Sri Aurobindo between 1926 and 1950 that fall into four broad subject areas: his outer life, his writings, his contemporaries, and contemporary events; his inner life before and after his arrival in Pondicherry; his role as a spiritual leader and guide; and his ashram and the sadhana practised there. 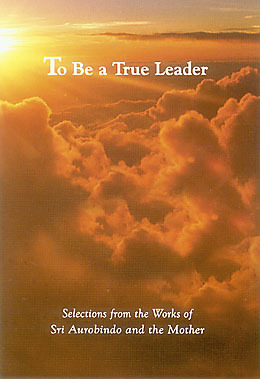 The fifth part of the book contains mantras and messages Sri Aurobindo wrote for the benefit of his disciples. Many of the letters appeared earlier in Sri Aurobindo on Himself and on the Mother (1953) and On Himself: Compiled from Notes and Letters (1972). The volume also contains a fairly large number of letters formerly included in Letters on Yoga (1970), a few letters from Letters on the Mother, and many newly selected items from the 1926–1950 corpus of letters. Whenever possible, the letters are framed contextually and historically by including the question or comment of the correspondent and the date of the letter. Together with the documents published in Autobiographical Notes and Other Writings of Historical Interest, these letters constitute nearly all the surviving biographical and historical source materials that Sri Aurobindo wrote. Soon after his arrival in Pondichery in 1910, Sri Aurobindo began a diary in which he recorded the progress of his experiences and experiments in yoga in terms of seven lines of transformative practice, which he called the sapta chatushtaya (loosely translated as the Seven Quartets). 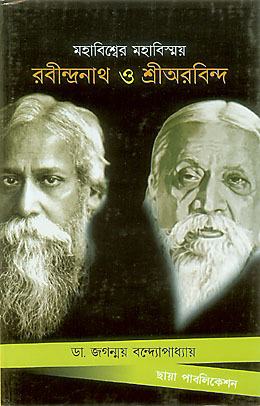 The diaries, written for his personal use and often in a type of shorthand following his own classification, were published many years later in two volumes as Record of Yoga. 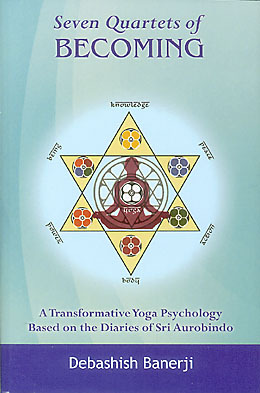 Banerji outlines the system comprising these seven aspects of yogic practice – peace, power, knowledge, body, being, action, and integration –, pointing out correlations and elaborations in some of Sri Aurobindo’s later writings, such The Synthesis of Yoga, The Mother, and his last written prose work, The Supramental Manifestation upon Earth. He also brings into focus modern streams of psychological philosophy and firmly situates the system presented in the Seven Quartets as a transformational yoga psychology. 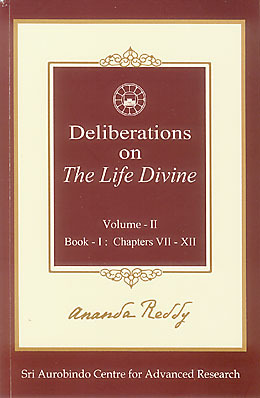 This book is a transcribed and edited version of talks delivered by the author on chapters seven to twelve of Sri Aurobindo’s The Life Divine. Dr Reddy’s approach is to explain the main philosophical arguments presented by Sri Aurobindo, using simple language and illustrative instances. This volume includes a look at the problems of pain, suffering, and evil as explained by Sri Aurobindo is his chapters on “Delight of Existence”. The author has kept intact the direct, expository tone of the talks, making this an easily approachable book. Each chapter studies the main arguments in brief and is followed by lecture notes that encapsulate the contents in outline form. This book is a transcribed and edited version of talks delivered by the author on chapters thirteen to eighteen of Sri Aurobindo’s The Life Divine. Using simple language and illustrations from everyday life, Dr Reddy introduces the main philosophical arguments presented by Sri Aurobindo in these chapters, which deal with such ideas and concepts as maya, the supramental consciousness, and the divine soul. The author has kept intact the direct, expository tone of the talks, making this an easily approachable book. Each chapter studies the main arguments in brief and is followed by lecture notes that encapsulate the contents in outline form. This short work begins with the philosophical basis for understanding the concept of Oneness, explained by Sri Aurobindo as the inherent reality of the universe, first expressed in the Vedas as the truth of Brahman. It goes on to discuss Sri Aurobindo’s explanation of how humanity derived its sense of separateness and how it can move from this false perception to a truer knowledge of reality through the evolution of consciousness. The gradual unification of the being around the psychic and the growing sense of oneness with the Divine are dual movements in the spiritual journey that moves forward on the path best suited to each individual’s nature.